An NBA star creator and the strongest club in men’s basketball competition in Serbia, Croatia, Slovenia, Bosnia-Herzegovina and Montenegro will be broadcasting more than 130 matches per season to FeedConstruct’s Friendship Platform . 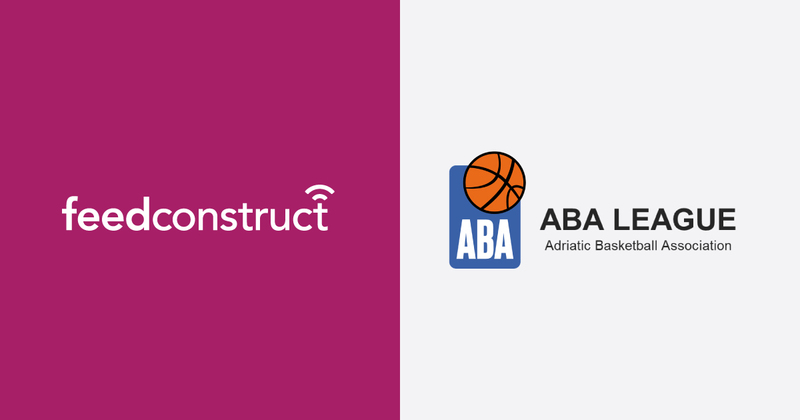 “On behalf of the ABA League, I'm very happy that our partner MYD SPORTS will start working with Feedconstruct. The ABA League is undoubtedly the best regional sports competition in South East Europe and we are happy that through Feedconstruct as a global partner our story will reach even more passionate viewers and basketball lovers all over the world.” says Mr Kresimir Novosel, ABA League General Manager.